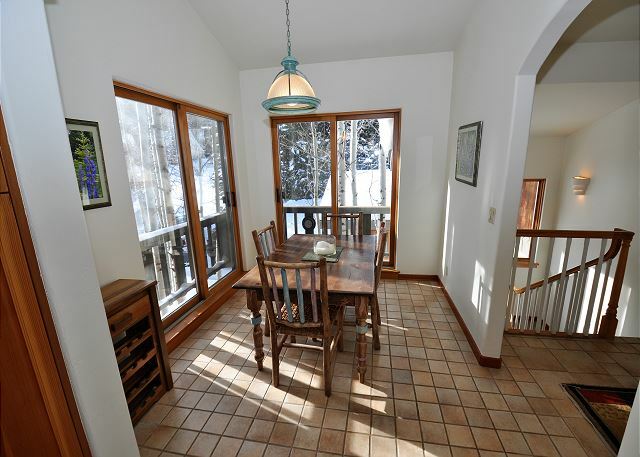 Property Video Managed by Gore Creek Properties, this gold rated duplex has 3500 square feet of living space and is located in East Vail, just 3.5 miles from Vail Village. 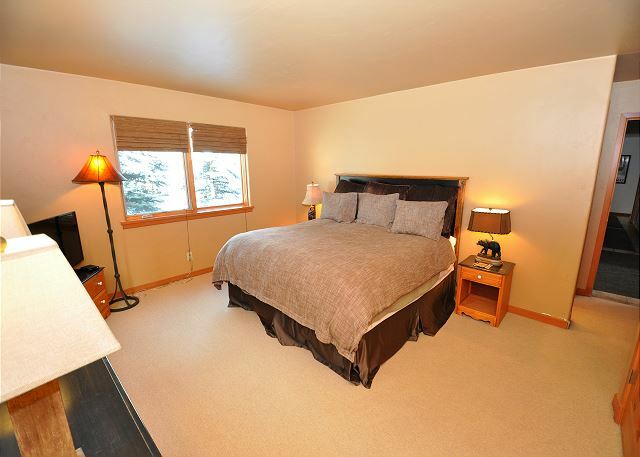 The home has 4 large bedrooms and a den and 4 ½ bathrooms and can accommodate up to 12 people. 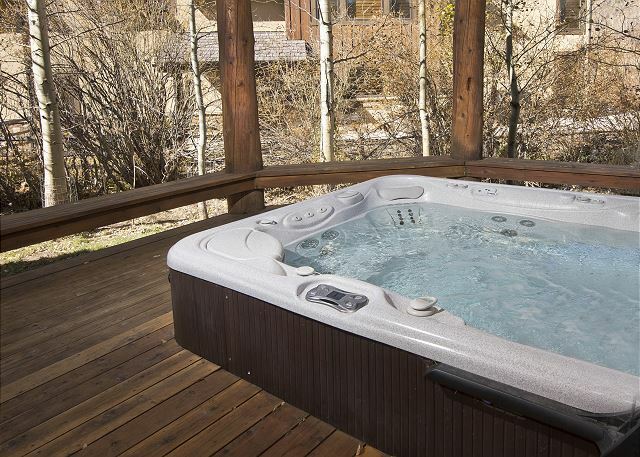 There is also a private hot tub right outside the house. 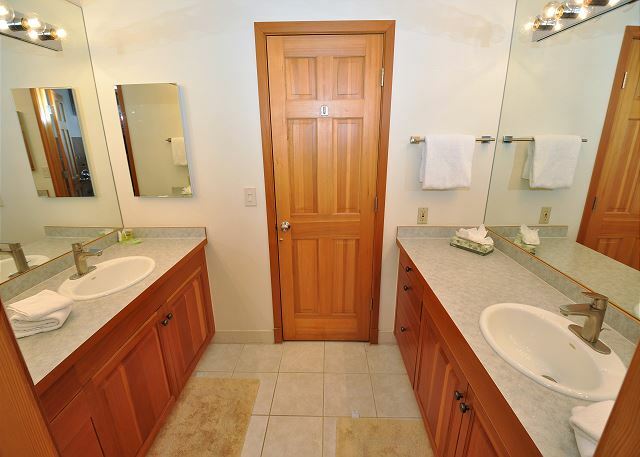 There is a 2 car garage for your use as well as parking for 2 cars outside the home. Additional parking can be arranged if you have more than 4 cars. 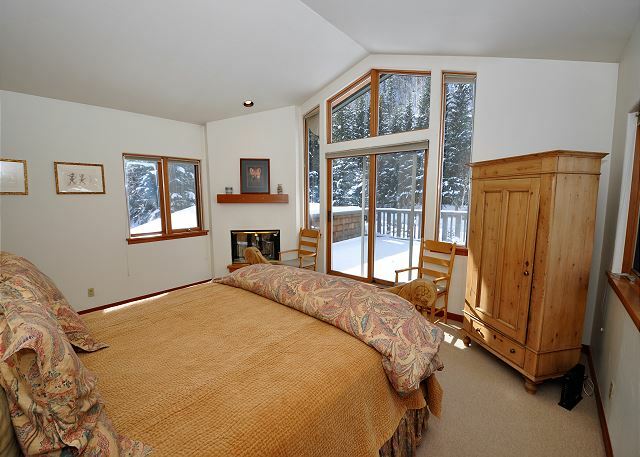 The views of Vail Mountain from this property are just amazing! 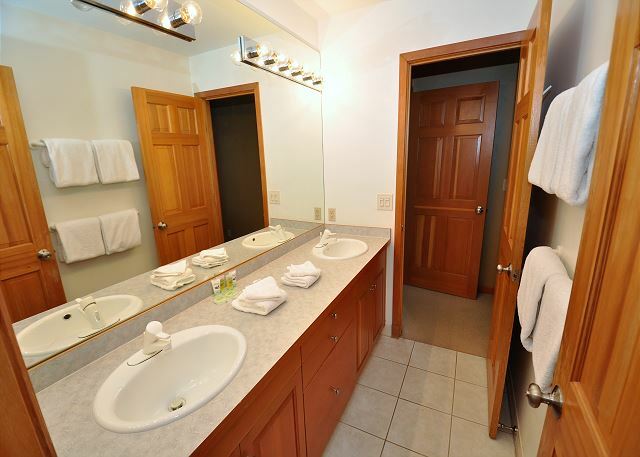 This could easily become your "home away from home". The shuttle stop for the free ski bus is just across the street and it runs every 15 minutes in ski season. 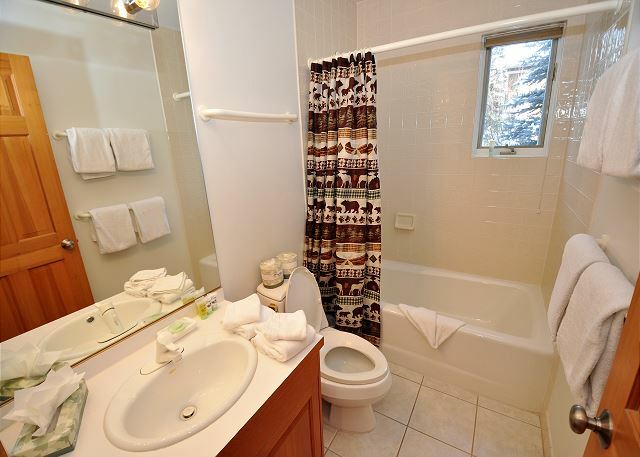 This is a very popular property and is situated in a perfect setting right on the Gore Creek.This property does not allow any pets and is NON SMOKING. The house actually exceeded our expectations. Lots of space in the rooms. 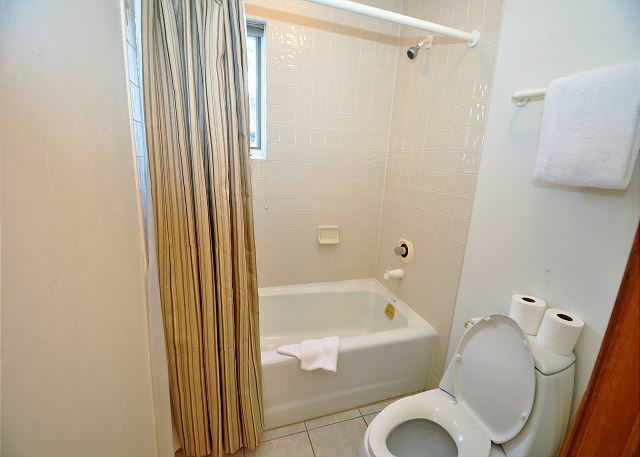 Very comfortable and nice location. 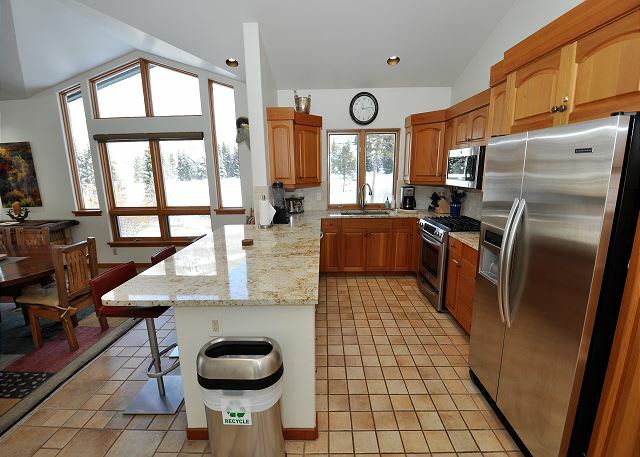 This house was beautiful and literally had the best appliances we have ever seen. It was more stocked with pots/pans, dishes, silverware and everything else you could ever think of than any other rental I have stayed at. Had Sonos so we could play music easily. 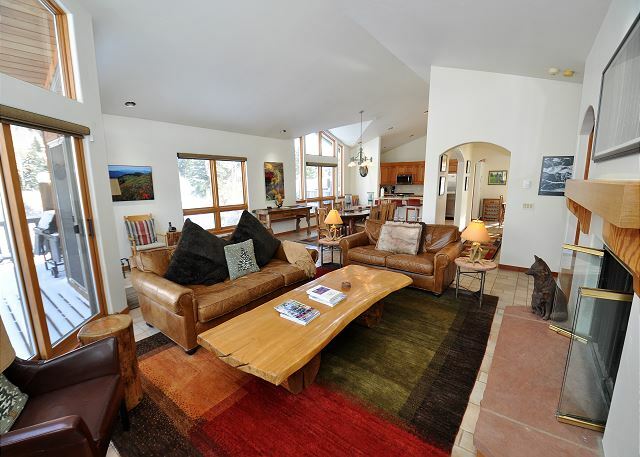 Our group of 7 had a lovely stay at this spacious home. 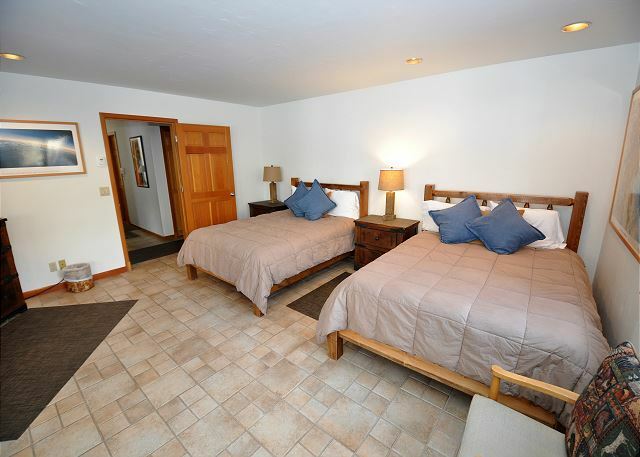 We appreciated the ample beds, open layout and comfortable setting. So convenient for catching the shuttle into the Village. We will be back! Overall, the house was fantastic. It was spacious and very clean. Each member of my party was very happy with the rental. We were pleasantly surprised when we arrived to this home.. It was beautiful and clean. 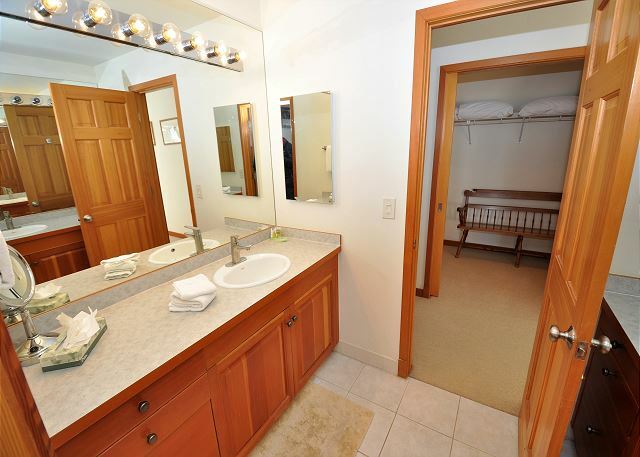 This rental is perfect for 4 couples plus kids due to 4 bedrooms having its own bathroom. 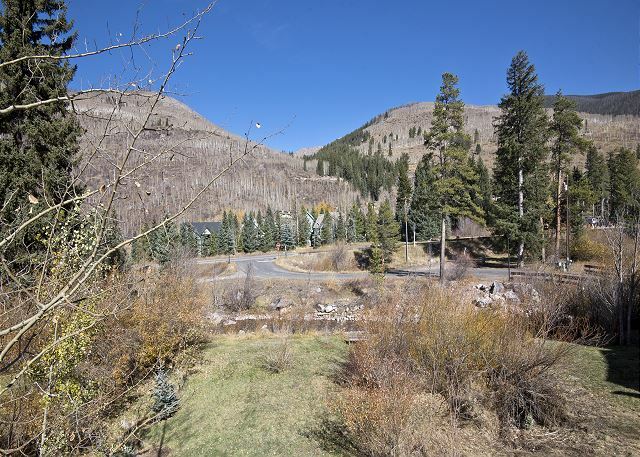 The location to Vail is incredible, less than 5 minutes away. I would highly recommend this location and plan on staying there again. 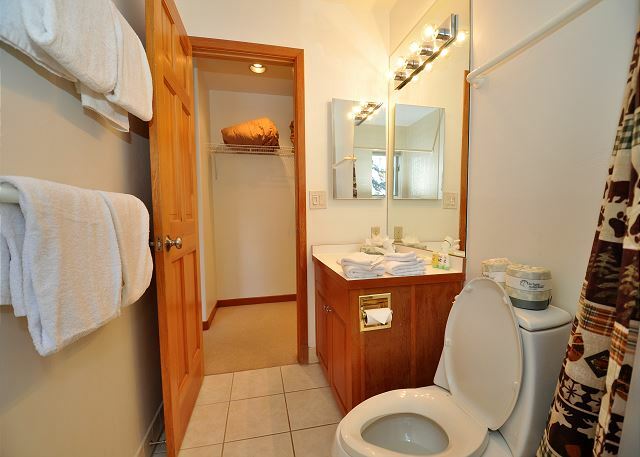 Accommodations were exactly as described. 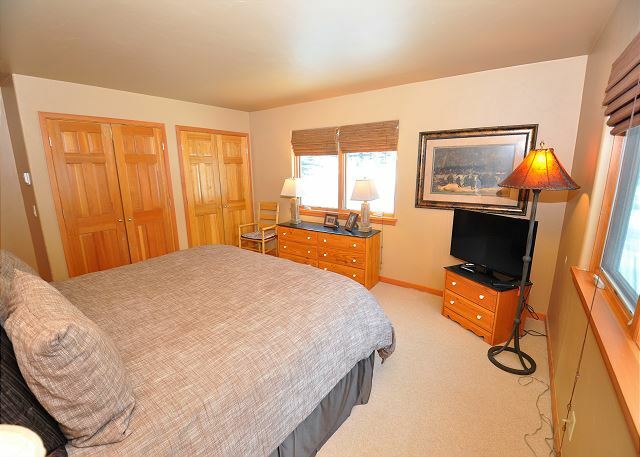 Any issues or questions were addressed by the friendly staff at Gore Creek properties. The bus route was right there(pitkin stop east vail), and it was a short ride to get anywhere. Great place for four families. We treated ourselves and our three married children, plus four grandchildren,to a few nights at this house in July. 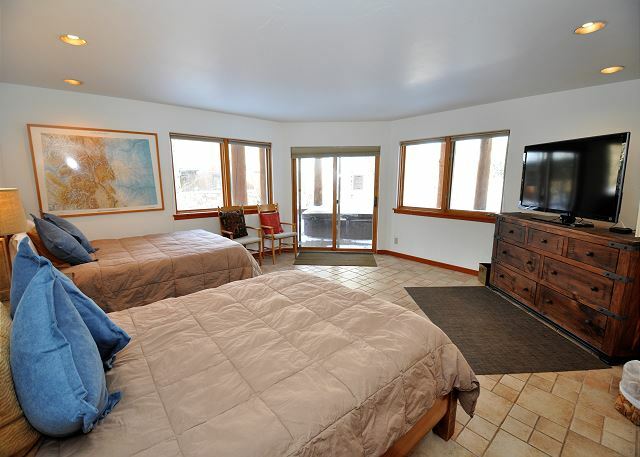 The house was very spacious and well laid out, and offered a large hot tub on the lower level. 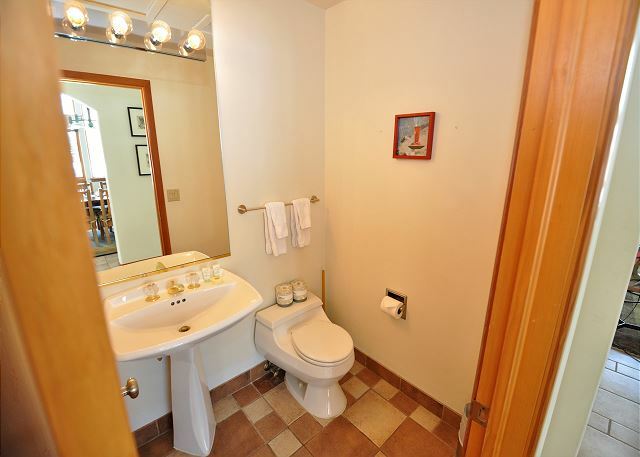 There are four bedrooms on the ground level plus a large bedroom suite on the upper level, where the kitchen, dining and gathering areas are located, along with a roomy deck. 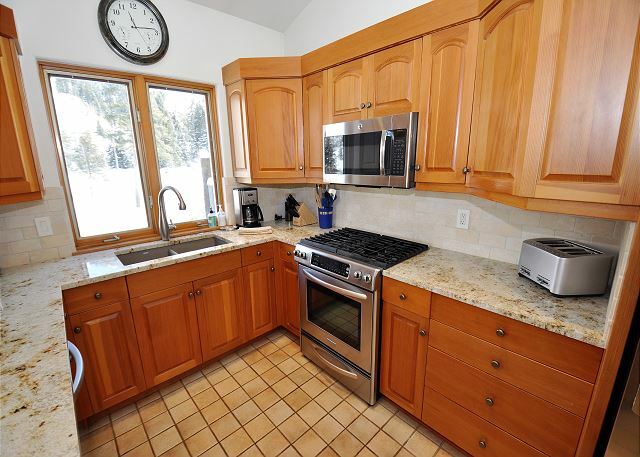 Kitchen was very well-equipped, too. Location was great, about one block from the free bus and two blocks from a nice little market for essentials. Large furniture in huge living room was not really very comfortable, but we weren't hanging around all that much and it was still o.k. The children, 7 and under, had a great time and had plenty of room to roam and play. We had a fantastic weekend in this spacious house. 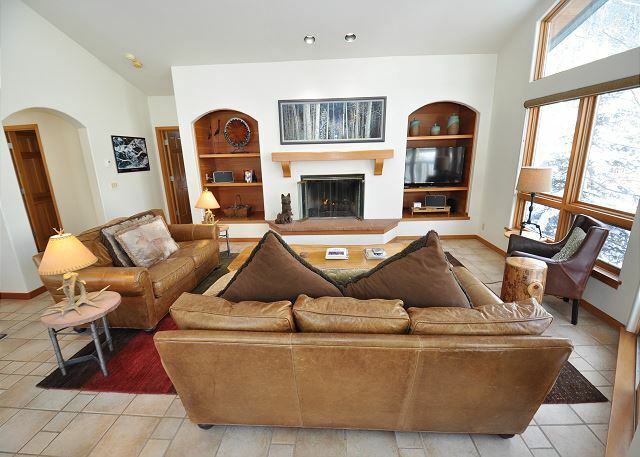 It is in a fantastic location right on the creek and was extremely comfortable for our large group. We traveled as a family with 2 older children, a family with 2 children under 3 and grandparents. The house worked excellently for us. Location was great and we often used the shuttle. Not the highest end property we have stayed in, bathrooms and kitchen felt a bit tired, but overall completely functional with great views and communal areas. Only complaint would be that the lower level master bedroom had a lot of noise during the night from pipes banging as part of the heating system in the garage. 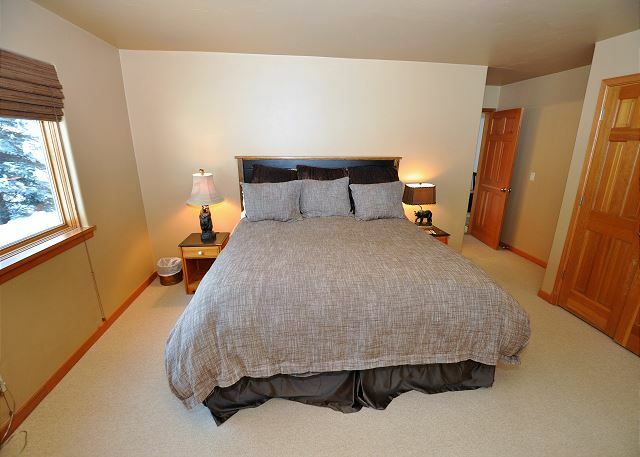 Home was in good shape and had 2 master bedrooms and 3 other bedrooms with several beds in each room. The rental company also let us check in a bit early and check out later than required which was very helpful. My husband's only complaint was the proximity to the highway, but most homes in Vail are close to I70. This property was not in "downtown" Vail but it was close to a bus stop.